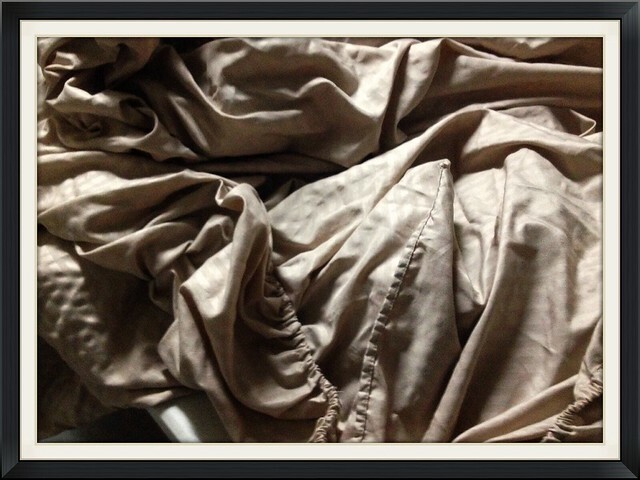 I hate folding sheets…California King size to be exact…bottom California King sheets to be even more precise. I positively, absolutely and fundamentally HATE folding them. Seems like no matter how big your folding table is, how much space you have or how many different techniques you continually endeavor…you still end up with the same thing…corners that refuse to stay in line with each other, wrinkles in the middle and there is always some stray, leftover piece of fabric that falls into one of those universal mysteries of seemingly no place to fit. Sheets are evil. Don’t you find life like that? Just when you get one thing cleared up, something else falls out of place. Just as one thing gets corrected something else unravels. On my path as a Believer, I have found God’s searching gaze locates for us and then reveals to us what’s out of place, wrinkled, won’t line up with His word or raveling out of control. As soon as one thing is corrected He moves on to the next but He never “finishes”with us…not in this lifetime. Jeremiah 17:10(AMP) I the Lord search the mind, I try the heart, even to give to every man according to his ways, according to the fruit of his doings. Ecclesiastes 12:14(MSG) And that’s it. Eventually God will bring everything that we do out into the open and judge it according to its hidden intent, whether it’s good or evil. Romans 8:27-28(AMP) And He Who searches the hearts of men knows what is in the mind of the [Holy] Spirit [what His intent is], because the Spirit intercedes and pleads [before God] in behalf of the saints according to and in harmony with God’s will. We are assured and know that [God being a partner in their labor] all things work together and are [fitting into a plan] for good to and for those who love God and are called according to [His] design and purpose. Remember…Be patient, God isn’t finished with us yet.